Just a quick update on Tower Hamlets’ Weavers ward by-election which will be held on May 3 and which comes following the resignation, for personal reasons, of Labour’s Anna Lynch. Everyone expects this to be a straight fight between Labour and Respect, but the Lib Dems could be the dark horses. Until 2010, it was a strong Lib Dem ward in which Abdul Matin (or Motin Miah, as he was also known) exercised some powerful Bangladeshi village voting networks. 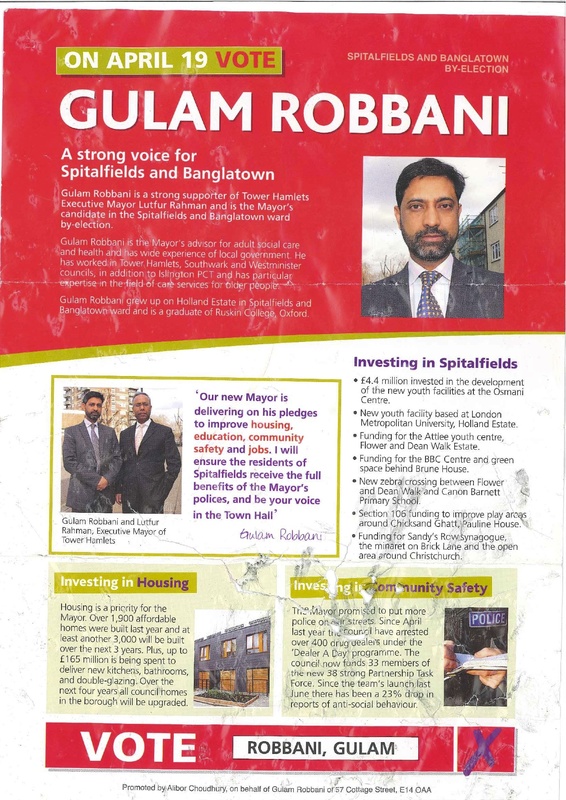 The party’s candidate this time around is Khan, who was formerly a councillor in Bethnal Green North. If Matin, who is currently in Bangladesh, can get his former supporters out then Khan may stand a chance of slipping through the middle. 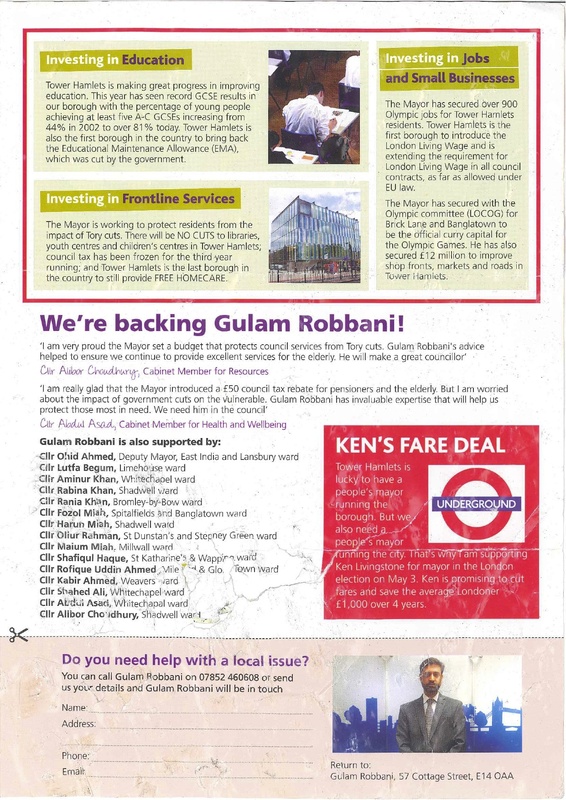 Interestingly, Lutfur’s camp were keen for the Lib Dems not to stand: they argued that everyone wants Labour to lose. They also know that if John Pierce fails to win, then Labour will lose their overall majority in the council chamber and that will affect the make-up of various committees.